THE LEGAL MATTERS has been reissued by JEM Recordings and is now available everywhere in the universe... except the planet Neptune (who have strange copyright issues). Bad for Neptunians, good for everyone else! I used to co-edit a fanzine in the late '80s called POPsided. My buddy Jim Roe and I used to write the bulk of the 'zine. Our main focus was trying to promote the new bands that we felt carried on that Power Pop tradition - although we did tend to review a lot of reissues and old favorites. Since POPsided folded in 1999, my love for Power Pop and any variation on guitar pop was still strong in my heart, by I became very cynical and jaded about a lot of the music released between then and now. To me, it seemed as if bands were not interested in writing great verses, bridges, choruses and middle eights anymore. Sure, the songs may have had hook-filled choruses, but the rest of those particular songs seemed to have been hastily thrown together just to get to those choruses. I wasn't hearing the thoughtful, well-constructed songs of my youth anymore. While I only heard a fraction of what was actually coming out, it seemed that bands were no longer influenced by The Beatles, Shoes, Badfinger, The Rubinoos, Squeeze, 20/20, The Records or The Beat anymore. Influences tended to be the less-immediate sounds of Big Star, Matthew Sweet and The Posies - all fine bands for sure, but nothing like the hook-filled glory of what I thought was Power Pop. I do realize that we all have our own interpretations of what defines a genre, but what I wanted was that immediate connection that I just wasn't finding with many bands over the last two decades. The search for great pop was kind of like going to try a new burger joint in town - only to find out that its just like any other burger joint in town. Sure, its good, but its not THAT good. There have been some bands that I've loved over the last 20 years - including Splitsville, Cherry Twister, Holiday and perhaps a dozen more - so my passion for the music hasn't dwindled. In fact, my search for great pop has intensified over the years. But the feeling of satisfaction just hasn't been as rewarding. Formed by Keith Klingensmith and Chris Richards (both of The Phenomenal Cats while Chris has also recorded as Chris Richards & The Subtractions) plus Andy Reed, The Legal Matters' debut album is filled with everything I have always loved about Pop: great melodic hooks, glorious harmonies, spine-tingling chord changes, more than one lead vocalist, a complete lack of pretentiousness and a total love of creating pop music. These gentlemen have been creating music in their other projects for years, so the fact that this sounds as fresh and exciting as it does is a testament to their talents. Album opener "Rite Of Spring" is a stunner with those wonderful harmonies and lovely chord changes. Did I mention the fantabulous harmonies? Apart from Shoes, who else bothers with great harmonies like this these days? On first listen of the song, I was thinking that every band always puts their strongest song up front to lure you in and they never follow it up with anything quite as good. Well, that's not the case here because the album is filled with great tunes that are now going to be part of my Pop reference points - "Have You Changed Your Mind?" is beautiful, a real stunning slice of pop glory; "The Legend Of Walter Wright" features the sorely-missed 'oo-la-las' that should be featured at least once on every Power Pop album; "It's Not What I Say" doesn't sound like The Beatles, but it wouldn't be out of place on Rubber Soul (if that makes sense); the goose-bump inducing "Before We Get It Right" could be a lost Jellyfish single; "So Long Sunny Days" is dreamy Summer pop that could be the soundtrack to a romantic sunset; "Mary Anne" is a lovely piano-led ballad with some stunning harmonies and a heart-breaking melody; the powerful "We Were Enemies" closes the album in grand fashion (and reminds me of The Rollers "Hello And Welcome Home" for some reason). The band's only misstep on the album is the fact that it ends... but that can easily be rectified by hitting the repeat button! It must be said that I award the band bonus points for not featuring a song based on the "Taxman" bass riff. That's a guitar pop trick that got old some 30 years ago. 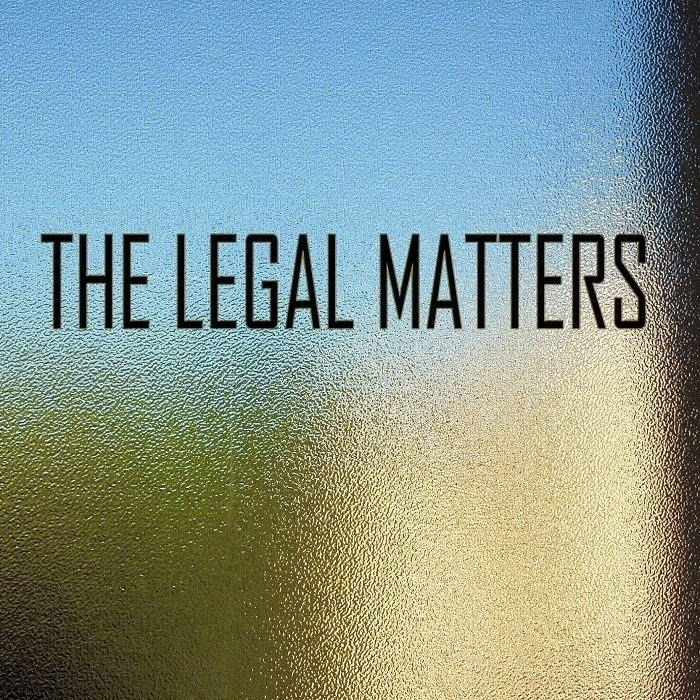 The Legal Matters is an album that renews my faith in modern guitar pop and has re-awakened my desire to track down every worthwhile Power Pop album that I may have missed over the last 20 years. But will they be as good as this? I seriously doubt it. I feel like going to visit each of my friends and playing them this album. Its too damn great not to share.